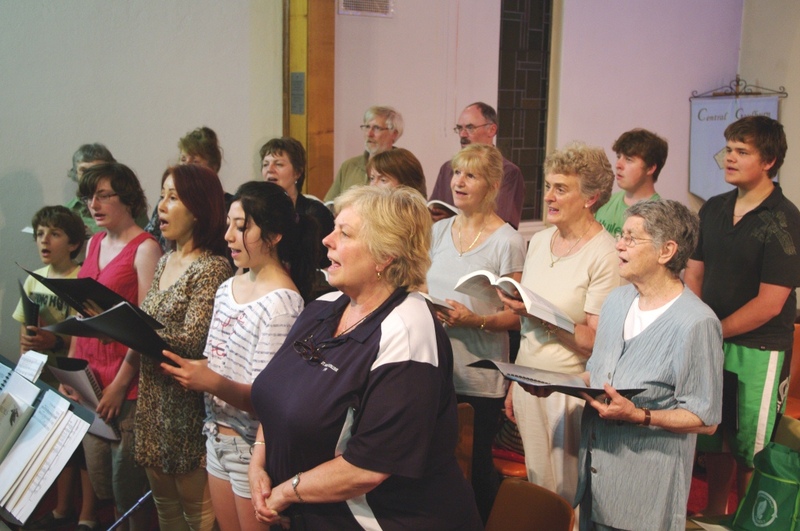 I am currently involved with two choirs, one in South Melbourne called the South Port Singers who rehearse on Monday evenings at 7.30 in the South Melbourne Uniting Church. 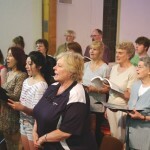 I also run choral activities in Yea in “central” Victoria and this is supported by the Yea Community House. On Sunday 23 December we will be running a carols and readings service at St Luke’s Anglican with the choir members who elected to do this. In 2019 we have support for four rehearsals run on Sunday afternoons at 3.00pm on 3 and 17 February and 3 and 17 March. For about eight years or so I directed the Mitchell Voices in Harmony. 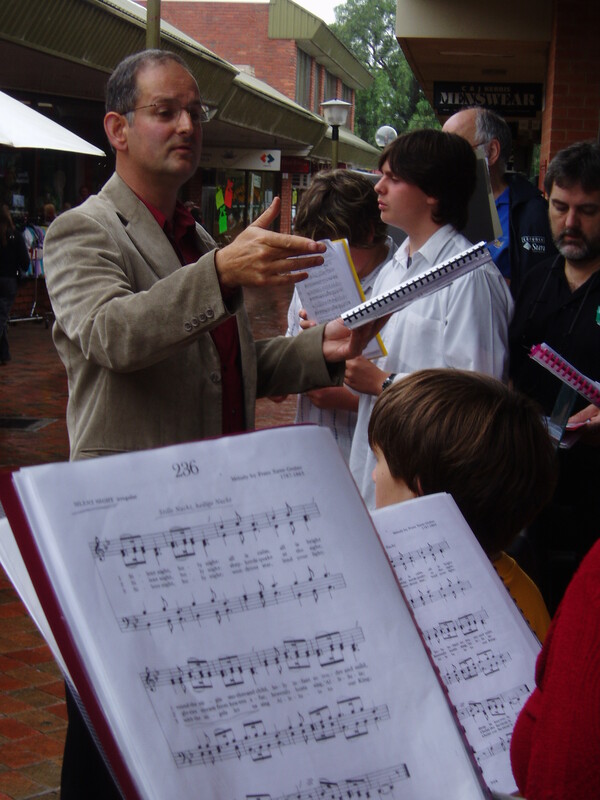 In April 2015 I resigned from directing this choir.Below you will find some of the things we used to do and what I wrote for the choir at the time. 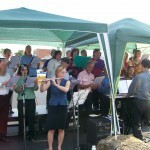 The photos are from this choir and perhaps I will have a few photos of my current choirs soon! 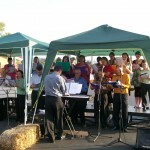 “The choir sings a wide range of music and sings in harmony both accompanied by Peter Hagen on keyboard or a cappella. Rehearsals include warmups to develop the voice, music reading skills and working on a range of repertoire ranging from simple unison songs (not always so simple when you try for perfection!) to more difficult works in four, five or even more parts. Repertoire for 2014 includes arrangements from musicals, spirituals light popular arrangements, sacred and generally anything that appeals to us as a whole. 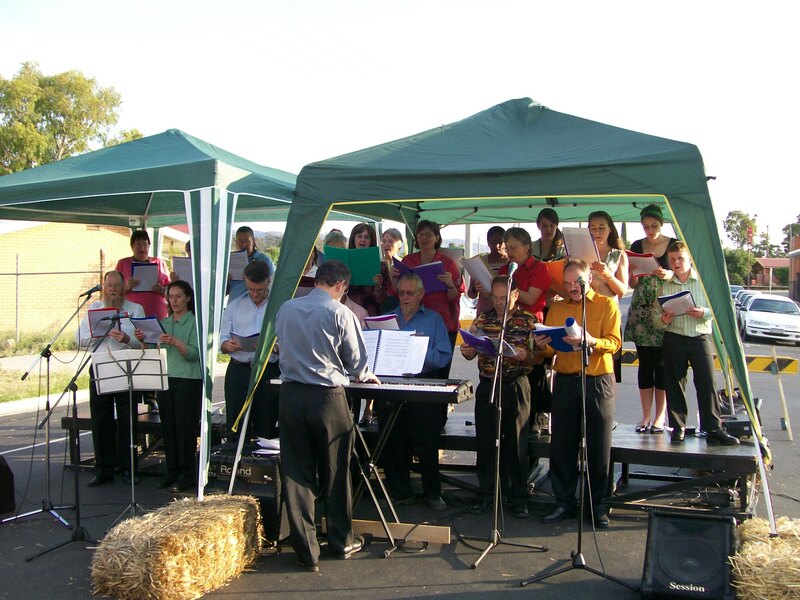 In December 2013, amongst the choir’s usual Christmas activities, a very well attended Festival of Carols and Lessons was held at the Anglican Church Seymour. A first for Seymour and was the direct broadcast of this event by Seymour FM with streaming online and listeners afar afield as Brisbane. 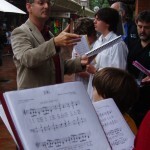 Peter Hagen always tries for the carols with the meaning or story of Christmas contained in the carols rather than the tinsel songs one hears in the supermarkets. This distinguishes the choir and gives an excellent focus for a more majestic and meaningful Christmas. 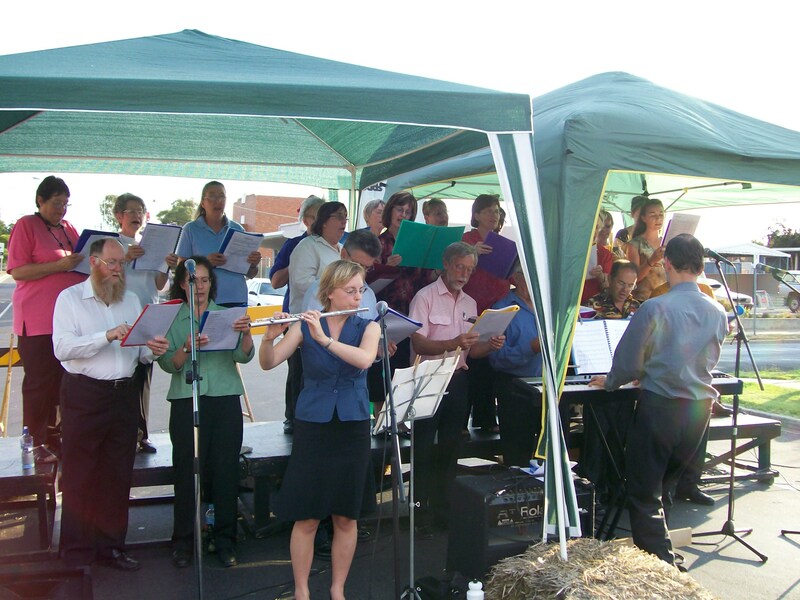 Another festival in 2014 is being planned for one of the churches in Seymour. The choir also sang in September for the Art Beyond the Divide art show featuring a number of the prominent local artists.